The Board of Directors of Qualcomm Incorporated (NASDAQ: QCOM) today sent a letter to Broadcom Limited (NASDAQ: AVGO) regarding its February 14 meeting with Broadcom representatives. Qualcomm has filed a definitive proxy statement and WHITE proxy card with the U.S. Securities and Exchange Commission (the “SEC”) in connection with its solicitation of proxies for its 2018 Annual Meeting of Shareholders (the “2018 Annual Meeting”). QUALCOMM SHAREHOLDERS ARE STRONGLY ENCOURAGED TO READ THE DEFINITIVE PROXY STATEMENT (AND ANY AMENDMENTS AND SUPPLEMENTS THERETO) AND ACCOMPANYING WHITE PROXY CARD AS THEY CONTAIN IMPORTANT INFORMATION. Shareholders may obtain the proxy statement, any amendments or supplements to the proxy statement and other documents as and when filed by Qualcomm with the SEC without charge from the SEC’s website at www.sec.gov. 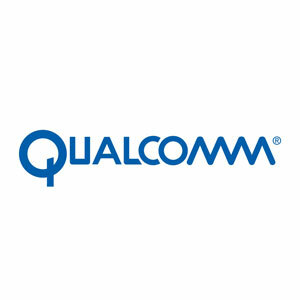 Qualcomm, its directors and certain of its executive officers may be deemed to be participants in connection with the solicitation of proxies from Qualcomm’s shareholders in connection with the matters to be considered at the 2018 Annual Meeting. Information regarding the identity of potential participants, and their direct or indirect interests, by security holdings or otherwise, is set forth in the proxy statement and other materials to be filed with the SEC. These documents can be obtained free of charge from the sources indicated above. Any statements contained in this document that are not historical facts are forward-looking statements as defined in the U.S. Private Securities Litigation Reform Act of 1995. Additionally, statements regarding operating results for future years, growth in operating results and the factors contributing to future operating results; the resolution of licensing disputes and the impact and timing thereof; expected market, industry, geographic and organic growth and trends; future serviceable addressable market size and growth; anticipated contributions from and growth in new opportunities; benefits from planned cost reductions; technology and product leadership and trends; Qualcomm’s positioning to benefit from any of the above; potential benefits and upside to Qualcomm’s shareholders related to any of the above; and the regulatory process and regulatory uncertainty are forward-looking statements. Words such as “anticipate,” “believe,” “estimate,” “expect,” “forecast,” “intend,” “may,” “plan,” “project,” “predict,” “should,” “will” and similar expressions are intended to identify such forward-looking statements. These statements are based on Qualcomm’s current expectations or beliefs, and are subject to uncertainty and changes in circumstances. Actual results may differ materially from those expressed or implied by the statements herein due to changes in economic, business, competitive, technological, strategic and/or regulatory factors, and other factors affecting the operations of Qualcomm. More detailed information about these factors may be found in Qualcomm’s filings with the SEC, including those discussed in Qualcomm’s most recent Annual Report on Form 10-K and in any subsequent periodic reports on Form 10-Q and Form 8-K, each of which is on file with the SEC and available at the SEC’s website at www.sec.gov. SEC filings for Qualcomm are also available in the Investor Relations section of Qualcomm’s website at www.qualcomm.com. Qualcomm is not obligated to update these forward-looking statements to reflect events or circumstances after the date of this document. Readers are cautioned not to place undue reliance on these forward-looking statements, which speak only as of their dates.